J-Club is the name of our young peoples group who meet on Sunday mornings during the 10:30am church service. The young people and children start off in the church for the first song before moving to the church hall. There are different groups within J-Club for different ages which include age-appropriate activities. 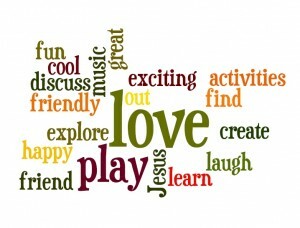 The action packed, fun-filled programme of games, creative crafts, drama and music helps the young people and children of St John’s explore and grow in their relationship with God, whilst having a great time. We welcome all young people and children of all abilities. Why not give it a try? Contact us and get connected.